Seed-stage VC, with 15 years of experience in enterprise IT startups across all exit scenarios. Currently invests in enterprise application, data management and infrastructure startups. Alan is not following anyone. 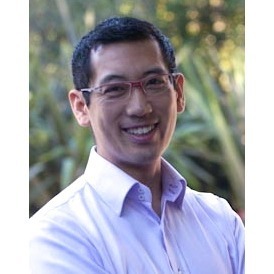 Alan Chiu is a Partner at XSeed Capital, with over 15 years of product development expertise in enterprise software and data storage. Alan was previously Director of Product Management at Bycast (acquired by NetApp), an object storage software company with a global customer base that included some of the largest digital content repositories in the world. At Bycast, Alan and his team drove the product roadmap, managed OEM relationships with IBM and HP, and developed strategies to enter new vertical markets. Prior to Bycast, Alan served as an engineering manager at a network security start-up, and helped develop the market-leading digital prepress workflow system at Creo, which was acquired by Kodak for $1B in cash. Alan holds a BASc in Electrical and Computer Engineering from the University of British Columbia, as well as an MS in Management from the Stanford Graduate School of Business, where he was a Sloan Fellow focused on entrepreneurship, venture capital, and mergers and acquisitions. Alan was mentioned in a VatorNews article "Here are your 10 finalists for Vator Splash SF!" Alan became a competition judge for the Vator Splash SF (October 2013) competition. Alan started following eBIDLIST, Inc.